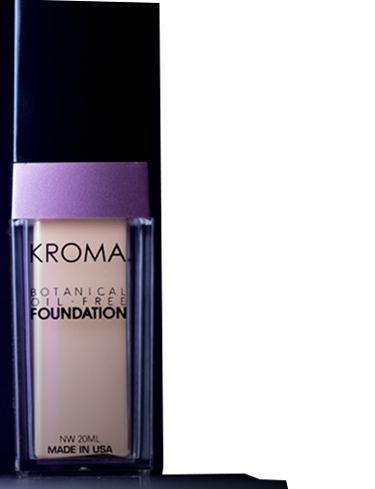 KROMA® Makeup is committed in bringing you exceptional quality and unparalleled customer service. If some reason you're not completely satisfied with a product, return it for a store credit or an exchange. Due to our custom blending capabilities, we can adjust your product to your liking when applicable. Time limit on returns: Products must be returned within 30 days of your order to receive a store credit or an exchange. Returning free products/gift with purchase: You may keep the free gift with purchase or samples that you received, as part of your order. Payment credit In the case of shipping damages, please contact the carrier or KROMA®. Refunding shipping fee: If the product is defective or mis-shipped by KROMA®, original shipping charges paid during your order will be store-credited. Return shipping charges will be store-credited by KROMA® as a one-time courtesy. Returns processing time Please allow us 1 week for receiving and processing your online order return. Store credit will appear on your KROMA® account within 7 days after we processed your return. Returned Check Policy: A service fee will be added for any check returned unpaid by the bank. In accordance with State law, NSF Checks may be submitted to your bank electronically. A 10-day waiting period is required for store credit on personal checks. Exchanges Customers are responsible for paying any additional difference in price and sales tax for exchanges of greater value. A store credit will be issued for the difference in price and tax for exchanges of lesser value without a receipt.